Very variable. 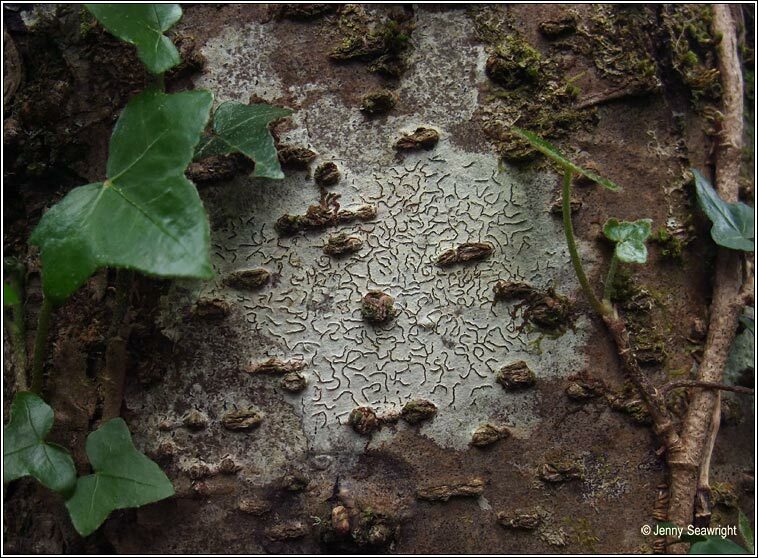 Smooth or wrinkled white or grey thallus with curved or stellate apothecia. Centres of lirellae open, +/- white pruinose. 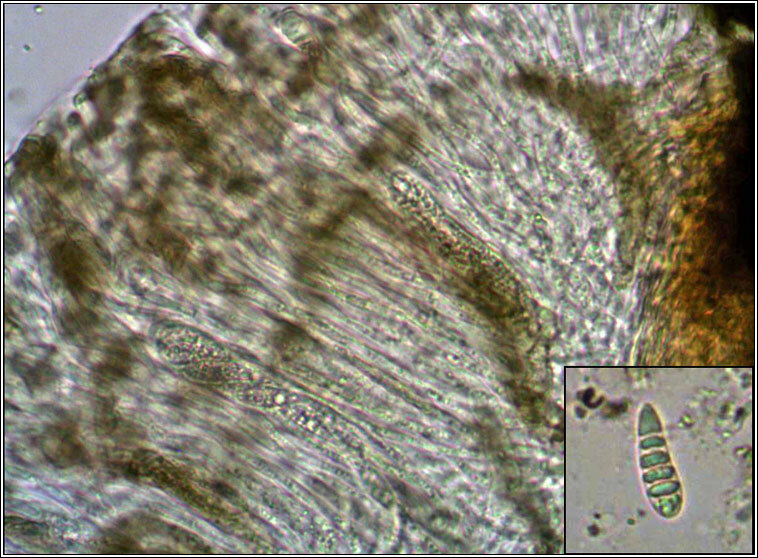 Similar to G. elegans but carbonaceous margins are raised and unfurrowed. 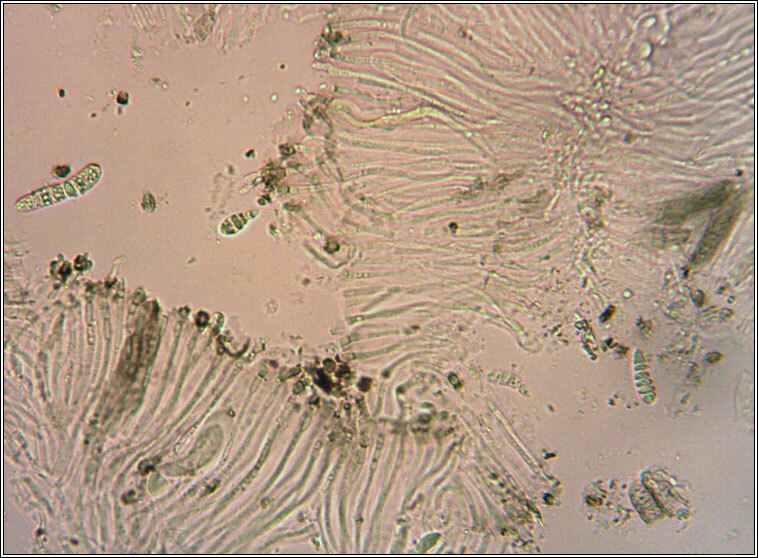 Asci 8-spored, spores 5-15 septate, 25-70 x 6-10 µm. 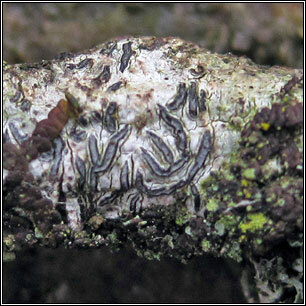 Mature spores are colourless but may become brown when old. Microscope photographs below. Very common on smooth barked trees, branches and twigs. 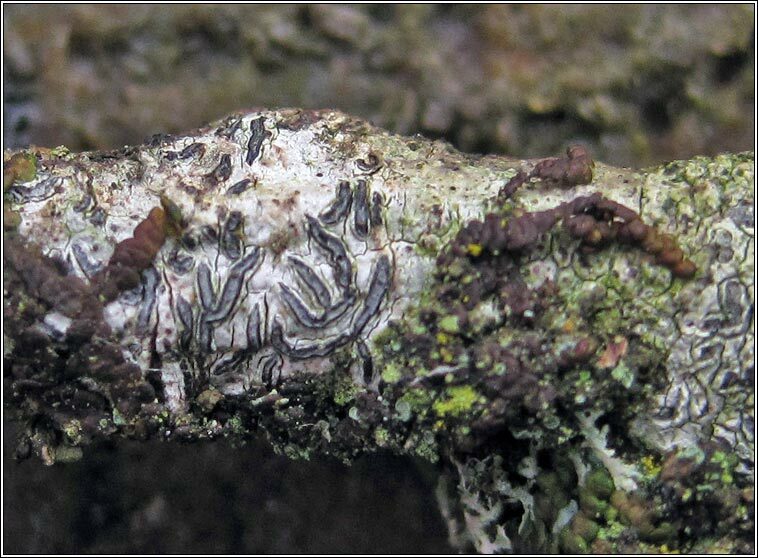 K-, P- One of the main species of the Graphidion lichen community found on smooth hazel stems.